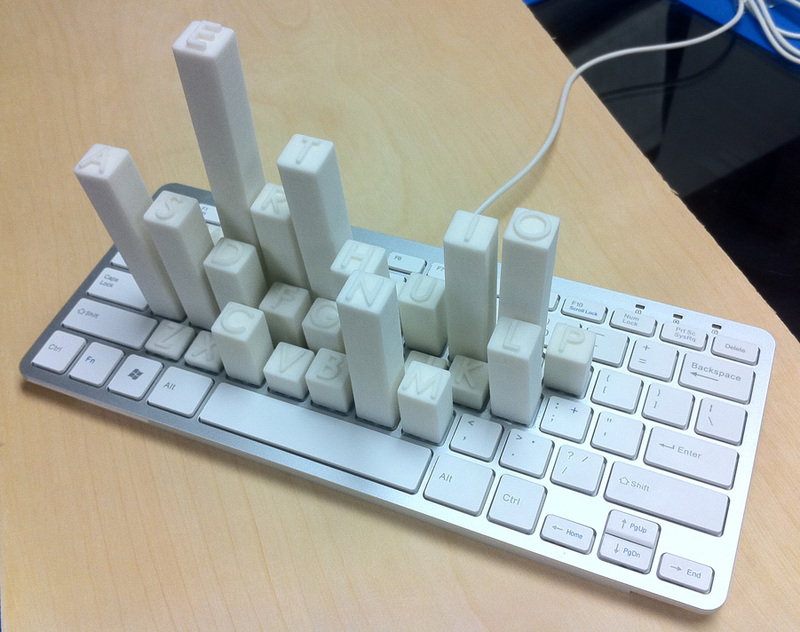 Taking the idea of an infographic one step further, student Mike Knuepfel has created this keyboard skyscraper. Each tower represents the frequency with which each key is used. Hit continue to check out the data he used.